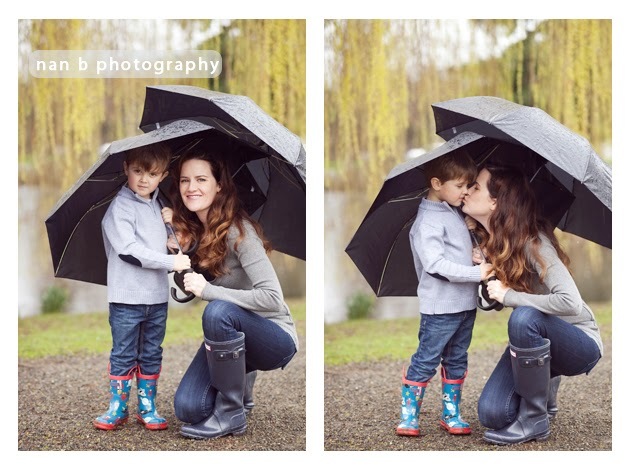 Today only Nan B Photography is offering 20% off gift certificates for Mother's Day. The perfect gift for Mom, Grandma...or yourself :) Contact Nan for details. Store shoots are back! New partnership with Simplicity ABC announced. 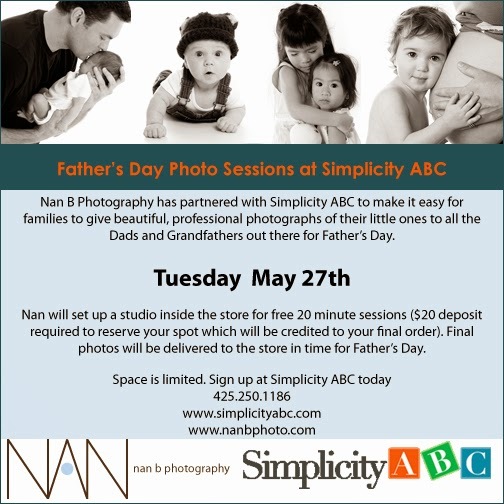 Nan is excited to announce a new partnership with Simplicity ABC in Kirkland. She will be in the store offering FREE 20 minute sessions on May 27th...just in time for Father's Day! Space is limited so contact Nan B Photography 206-459-8598 or Simplicity ABC 425-250-1186 to sign up. $20 deposit required to reserve your spot but applied to your final order.